Gone are the days when yellow gold was the norm at every Indian wedding, and at all other special occasions. 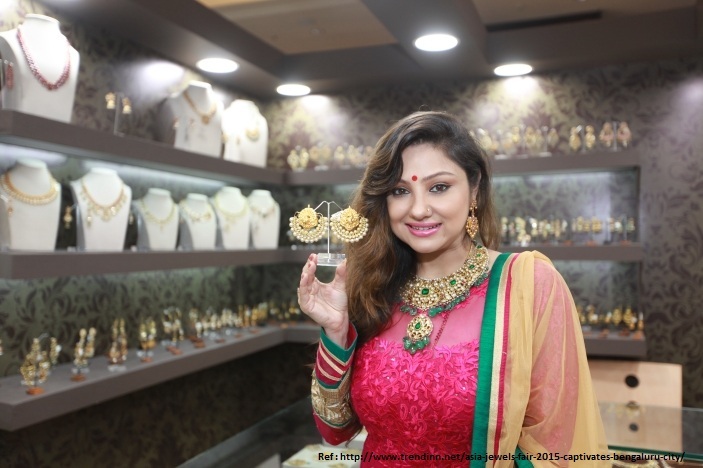 Although it still is the first choice for most people, the new generation of women are gradually opting for other options in specialized jewellery. There are several variations of gold jewellery available, one of the popular ones being rose gold. When the ‘rose gold’ iPhone came out in 2015, the world lost its mind. Women all over the world coveted this pink phone and couldn’t wait to get their hands on it. Warm and flush, the colour made it back into the world of fashion and rose gold made a re-entry into the world of jewellery too. Pure yellow gold, i.e. 24 karat gold is very soft, and that’s why it’s mixed with metal alloys to make it strong enough for intricate or heavy jewellery designs. Rose gold is an alloy of gold and copper. It has a warm and elegant pinkish hue which is the reason why it’s called ‘rose’. The more the copper in the alloy, the darker red the rose gold will be. Around 4% silver is mixed with 75% 18 karat gold and 21% copper to achieve the rose colour. For 14 karat gold, 41.67% copper is used and it is also used to make high-end flutes. Rose gold can also be mixed with other metal colours to create exciting pieces of jewellery. Two or three tone designs are extremely popular and make a fun choice to wear with rose gold. So you can add a lovely rose gold touch to your jewellery while simultaneously retaining yellow or white gold in the design for enhanced visual appeal. So what makes rose gold special? It’s a versatile and durable metal alloy that can be used to make a wide range of jewellery pieces and sets. The lovely rose pink colour lends a classy look with a vintage style feel, that’s why it’s made a popular fashion comeback. It’s not very gaudy or over the top like yellow gold. It infuses elegance and style into your look. The youthful colour flatters any skin tone, making it perfect for every woman. It’s very feminine and romantic. Suits a wide range of outfits, both contemporary as well as traditional. It’s affordable when compared to white gold or platinum. The above reasons explain why rose gold is increasing in popularity among women. If you want to shop for rose gold jewellery online, you can browse exquisite as well as simple styles in rose gold at AuGrav. We offer a lovely selection of elegant rose gold jewellery that will add the perfect finishing touch to any outfit. It’ll especially look wonderful with contemporary apparel in pastel shades and help you get that perfect uber-feminine look. Diverse range of options in rose gold jewellery! Designed by skilled experts in a variety of designs, rose gold jewellery is something you can’t miss at AuGrav. We have rings, earrings, bracelets and more, in different gold types, purities and weights to choose from. So, all you have to do is select your piece of jewellery to suit your choice, budget as well as occasion. For a more luxurious look, choose designs that are accented with diamonds or precious stones for added charm. You can also opt for two tone and three tone designs, and mix rose gold with white or yellow gold to create effortlessly stylish pieces. They will make fantastic gifts for friends and family at all occasions. What’s more, we at AuGrav specialize in unique customized jewellery. 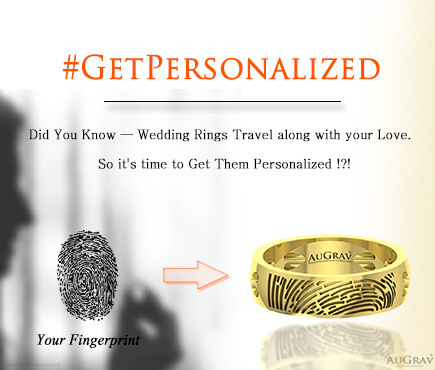 So you can go for rings, earrings, bracelets and pendants with your name, initials, or even 3D faces or shapes. Get creative and add your own custom touch to the design to take home the most beautiful piece for yourself or for a loved one. Rose gold makes a perfect choice for engagement rings, as a base for diamond studs, or for pretty pendants. Get them engraved with text, fingerprints or your voice wave forms, and flaunt trendy jewellery designs at birthdays, weddings, parties, and more. We offer free shipping in Mumbai, Chennai, Kolkata, Bangalore, Pune, Delhi, Hyderabad, and all over India to simplify your online jewellery shopping experience. You don’t have to run from pillar to post to find the design you want. Explore the collections at AuGrav and add your own personal touch to create unique pieces. 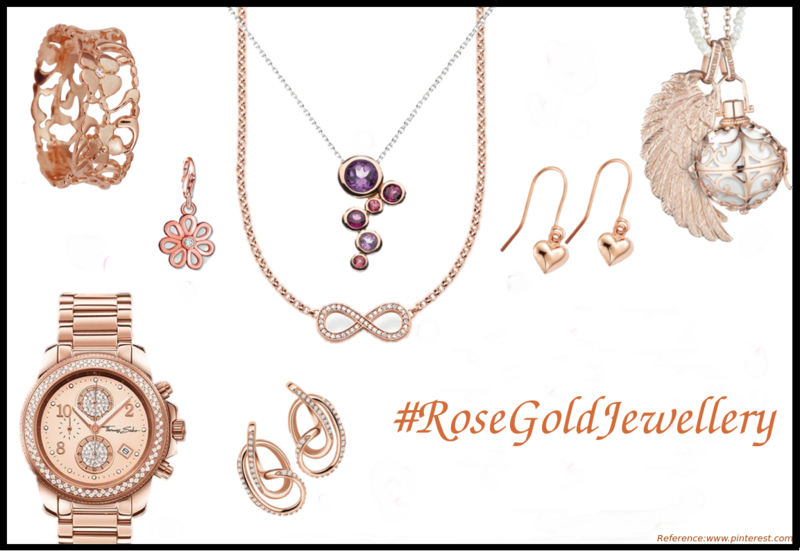 Go beyond the traditional yellow gold and make an elegant, sophisticated statement with romantic rose gold jewellery! You won’t regret it, we promise! « 10 Best Personalized Gift Ideas For Different Professions. Which Color is attractive? Rose-Gold or Yellow-Gold? Overall rating: 4.7 out of 5 based on 235 reviews.